Akpan and Oduma video download is available here for free. 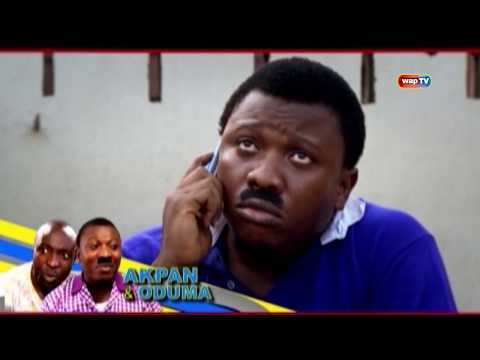 You might have wondered how to get Akpan and Oduma latest comedy. This is the place that you can get it. But first what is Akpan and Oduma? Akpan and Oduma is a Nigerian sitcom made by Wale Adenuga Production that follows the life of two characters from the village. The characters, Akpan and Oduma are the centre of the comedy. The name suggest that they might hail from Cross-River state. The various episodes show Akpan and Oduma in the city of Lagos trying to survive, just like the most people in Lagos do. The sitcom is a reality of what people face in Lagos, especially those without any opportunity. Made by Waptv, Akpan and Oduma try to survive by all means. Most time they get involved in crime to succeed. But most of the time, they will be caught. The comedy series has a lot of morals to learn from apart from its comedic lines. You will laugh all day just watching the comedy series. There are various ways you can watch and download Akpan and Oduma. The most preferred way that Wale Adenuga productions suggest is to watch their satellite channels at (StarTimes Channel 116, STARSAT Channel 189 and CONSAT Channel 812). The other way you can watch it is at YOUTUBE. That link is the playlist for the YouTube channel. Alternatively, you can add “ss” at the beginning of the Akpan and Oduma videos in YouTube to download it. That is “ss” before YouTube like www.ssyoutube.com. If you follow them, you will always enjoy your favourite Akpan and Oduma comedy in 2018 and beyond. And for free.